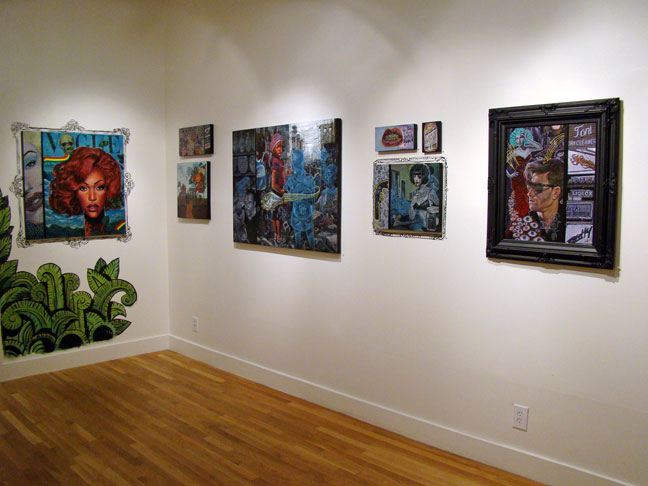 Rent Spoke Art Gallery | Corporate Events | Wedding Locations, Event Spaces and Party Venues. Spoke Art is an art space specializing in new contemporary painting, sculpture and illustration located in San Francisco’s Lower Nob Hill neighborhood. Our rotating monthly exhibits feature a wide variety of solo and group shows, many of which feature our international roster of represented artists. Our love for finding and promoting accessible and amazing art led to the creation of Spoke Art gallery in 2010. We began with humble pop-up exhibitions in Oakland and San Francisco, however by 2011 found ourselves with a permanent brick-and-mortar location in SF, where we still reside. Every month we feature a new exhibition, typically a solo by a single artist or a group show featuring up to one hundred artists. Though we pride ourselves on showing a broad range of works, our primary focus is on painting, illustration, limited edition items, and pop-culture. Throughout the year we also do pop-up shows, conventions and art fairs around the country and you can usually find us in New York, Chicago, Los Angeles or Miami at least once a year.